Do I need a shoe to exercise? What shoe should I wear when running, walking or just doing regular activities? What type of shoe or brand of shoe should I buy? 1. Place the shoe between your hands (heel to toe) and push. The shoe should bend at the toe. 2. Squeeze the heel of the shoe, just above the sole. It should be firm. 3. Grab the shoe at each end and twist. It shouldn't move much. If it wrings out like a rag, it is a bad shoe. It's important for individuals with diabetes to use shoes specially designed for diabetics. If you have an alignment problem, you may need corrective orthotics that reduce pain and increase performance in physical activities, like walking, running, or playing sports. Orthotics can correct pronation (the degree inward or outward your feet turn), decrease leg length differences, and provide support if you walk excessively on the outside/inside ball or heel of the foot. Are Flip Flops A Bad Shoe? As days shorten and the weather becomes crisper and the summer draws to a close, children are whisked back into school with new clothes and new shoes. As your research and purchase these shoes, care should be taken. The questions that are sometimes asked, are how do I make sure these shoes are comfortable and well fitted and of good quality? Do I need to spend large amounts of money to get a quality shoe? When should I replace a shoe? How about "hand me down" shoes? 1) A developing child's foot is not just a smaller version of the adult foot. The bones are growing and progressing. The foot even often functions different than the full grown adult foot. 2) Child shoes should be able to be worn for running, jumping and playing, not just walking or standing. Children will be playing at school and should have a shoe that will protect them from injury as they play. 1. Children's feet at various stages of growth may change sizes very rapidly. Ensure that you measure their feet at shoe purchase. Both feet must be measured, as one foot will be larger than the other. Always fit shoes to the larger foot. Remember shoes that don't fit properly could aggravate foot problems. 2. The child should "try on" the shoes prior purchase. This means that you should take the child shoe shopping. This helps you purchase a shoe that they like to wear and that is comfortable immediately. Shoes should never require a "break-in" period, because a shoe that fits correctly will be comfortable immediately. 3. Over a period of wear, a shoe will wear in the outer sole (the portion we see and walk on), the inside of the shoe (including the heel area), and the inner sole (located inside the shoe). The inner sole is a matrix of softer material that has air pockets that flatten over time. Shoe wear can be deceiving, because the shoe may wear out "inside" even when it doesn't look worn out on the outside. If the shoe doesn't appear to be working right, it should be replaced. 4. Because of how shoes can wear with an individual foot, handing down shoes is not necessarily a good idea. Just because a shoe is the correct size, doesn't mean it will fit another child's foot as comfortably as it did the first. As school starts, and flip flops or sandals are traded for new shoes, care should be exercised to find high quality shoes. A good habit of shoe wear will begin at an early age and will minimize injury or long term foot problems. You may be the key to the long healthy life of your child's feet. Think about it now and influence their life in the future. 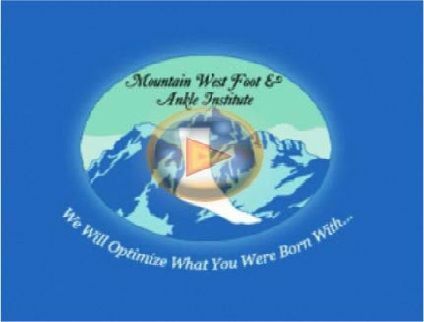 Brandt R. Gibson, DPM, MS is a podiatrist in American Fork, Utah. His goal is to educate people and help them "optimize what they were born with." A free book on foot and ankle health can also be ordered at http://www.MyFeetHurtBook.com .